Jordan Robins is an international award winning, self-taught ocean wildlife and ocean art photographer based in Jervis Bay, Australia. Holding a special place in his heart, Jordan is lucky enough to call this beautiful coastal region of southern NSW his home. Growing up and living near the ocean, Jordan developed a connection with, and passion for marine environments from a young age – with endless days spent surfing, snorkelling, diving or fishing. With a background in science, Jordan continues to engage and develop his understanding of marine environments and wildlife, bringing a greater awareness and appreciation to the worlds captured in his award winning photographs. 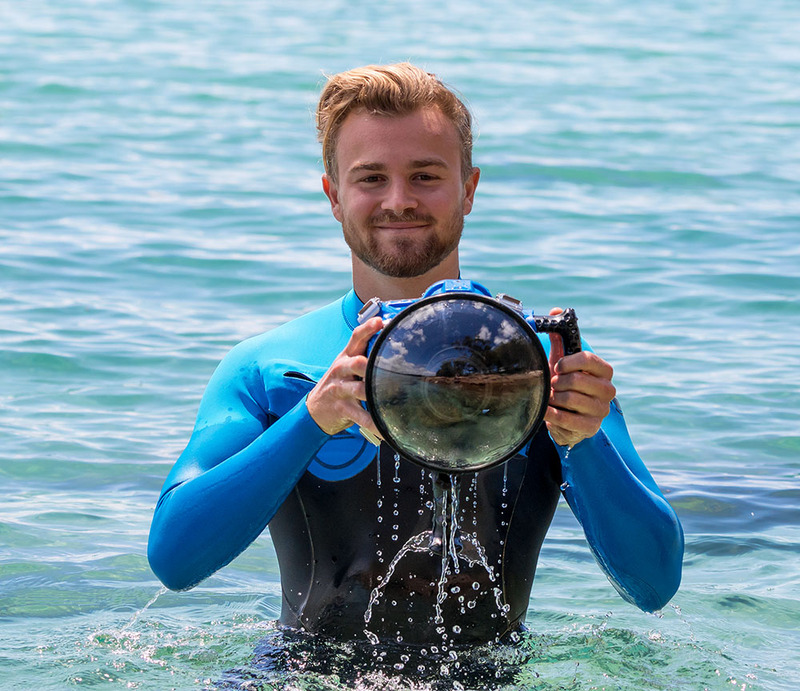 Jordan is recognised for his “Over/Under” photography – a style of underwater photography which captures both above and below the water in one image. This technique brilliantly combines the familiar terrestrial world with alien marine worlds. Through his unique images, Jordan captures breathtaking scenes which express a deep respect for the ocean and its inhabitants. Jordan’s unique work has been recognised internationally having his work published by Australian Geographic Magazine and having his work published online by National Geographic. Jordan also had the privilege of being awarded Australian Photography Magazines 2017 Photographer of the year, with a series of his “Over/Under” underwater images winning him the overall title. Jordan hopes that his photography can inspire others, while helping to increase awareness around the ocean environment’s fragility, and need for preservation – so future generations can engage and enjoy it as much as he does.